Although Barcelona is a really popular tourist destination there are not too many movies that were shot in this beautiful and vibrant city. So in this short article we collected some of the best movies that takes place in Barcelona. The first movie we would like to introduce to you is the Vicky Cristina Barcelona. Vicky Cristina Barcelona is an American romantic comedy which was released in 2008. The movie was written and directed by Woody Allen. The story is about the two American friends Vicky and Cristina who spends the summer in Barcelona where they meet a local artist Juan Antonio who is attracted to both of them and he attracts both of them as well. The whole movie was shot in Barcelona and some parts of the movie in other Spanish cities. The movie stars Rebecca Hall as Vicky, Scarlett Johansson as Cristina, Javier Bardem as Juan Antonio and Penelope Cruz as Maria Elena the unstable ex of Juan Antonio. The second movie from the list is The Orphanage. The Orphanage (El Orfanato) is a Spanish horror movie which was released in 2007 and it was directed by J. A. Bayona. The movie is centred around a woman Laura who returns to her childhood home to the orphanage. She wants to turn it into a home and the problems arise when Laura and her husband notices that their son, Simòn thinks he has a masked friend who he has a lot of fun with and after an argument he disappears. The movie stars Belèn Rueda as Laura, Fernando Cayo as Carlos who is the husband of Laura, Roger Prìncep as Simòn their son. – Find out more about how to watch films on Netflix in Spain. The third movie from our list that was shot partly in Barcelona is the Red Lights. Red Lights is an American-Spanish thriller that was released in 2012. The movie was written and directed by Rodrigo Cortès. The film focuses on a physicist and a university psychology professor. 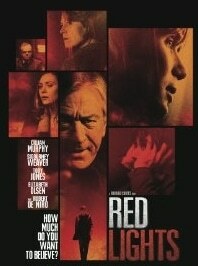 The movie Red Lights stars Cillian Murphy as Tom Buckley, Robert De Niro as Simon Silver, Sigourney Waver as Margaret Matheson, Joely Richardson as Monica Handsen, Elizabeth Olsen as Sally Owen and Craig Roberts as Ben. The other movie from the list which was also shot partly in Barcelona is The Gunman. The Gunman is an American action thriller that will be released in March 2015. The movie was directed by Pierre Morel and it was written by Don Macpherson and Pete Travis and it is based on Jean-Patrick Manchette’s novel The Prone Gunman. The film stars Sean Penn as Martin Terrier, Idris Elba as Dupont, Peter Franzèn as Reiniger, Javier Bardem as Felix and Ray Winstone as Stan. The movie is about Martin Terrier who is an agent. Our last movie from the list is The Passenger which was directed by Michelangelo Antonioni and written by Petter Wollen. The Passenger was released in 1975 and it stars Jack Nicholson as David Locke, Maria Schneider as The Girl, Steven Berkoff as Stephen, Ian Hendry as Martin Knight and Jenny Runacre as Rachel Locke. The movie is about the American journalist who is working on a documentary in Chad and gets involved in some shady situations. These films can all be seen on Amazon Instant Video, and if you want to know more about watching them online on Amazon.com even from outside the US, click the link. How to travel from Barcelona to Valencia? What did Picasso see as he visited Paris?